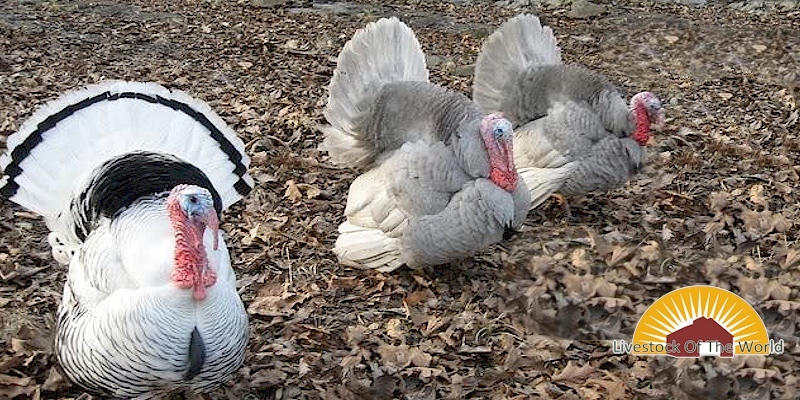 The Slate Turkey, also known as the American Blue or Lavender Turkey, is variety of turkey that is ashy blue over the entire body, sometimes with a few black flecks.The slate coloring is theresult of a combination of mutation (one dominant and one recessive) . The Slate variety was accepted by the American Poultry Association in 1874. It has been popular in exhibition circles and is gaining popularity in pastured poultry production. Renewed interest in the biological fitness, survivability, and superior flavor of the Slate has captured consumer interest and created a growing market niche. The Slate is less well documented and more variable in type and color than any other variety. This makes it more challenging to breed consistently than the others. Its production potential today is not known.